All of these can be yours! If you travel to Prague around this Christmas and buy them. 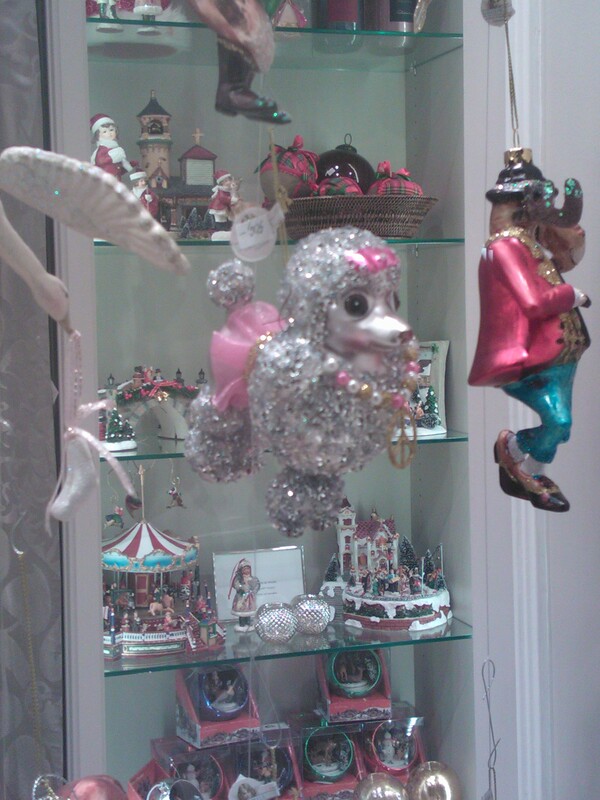 Gotta love the X-mas poodle. Cos nothing says Christmas more than a silver canine with a pink tutu and a bow. Or is it a tiara? Christmasy one, of course! This entry was posted in Life/Photography and tagged Christmas Decorations, Christmas Tree, Czech Republic, Decorations, Funny, Prague, Season's Decorations, Shop, Shopping Window, Unusual. Bookmark the permalink. ← First Snow In Prague. Yeeey! The poodle nailed it! Love this!